Army Pvt. 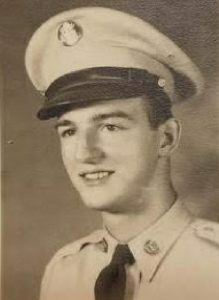 Robert J. Sipes, Jr., 19, died on Nov. 30, 1950, was accounted for on Oct. 23, 2018, and will be buried in his hometown on December 5, 2018. On Aug. 17, 1954, the United Nations Command (UNC) and North Korea, along with the CPVF, reached an agreement regarding the recovery and return of war dead. The agreement, known as Operation Glory, resulted in the turnover of 4,200 sets of remains to the UNC, including more than 400 sets reportedly disinterred from Pyongyang. One set of remains, designated N-16678 could not be identified, and was subsequently interred at the National Memorial Cemetery of the Pacific in Honolulu (known as the Punchbowl), as an Unknown.